The SpeedSF circus arrived back in the town of Willows, CA with its barrage of exhaust notes echoing in the morning sky. 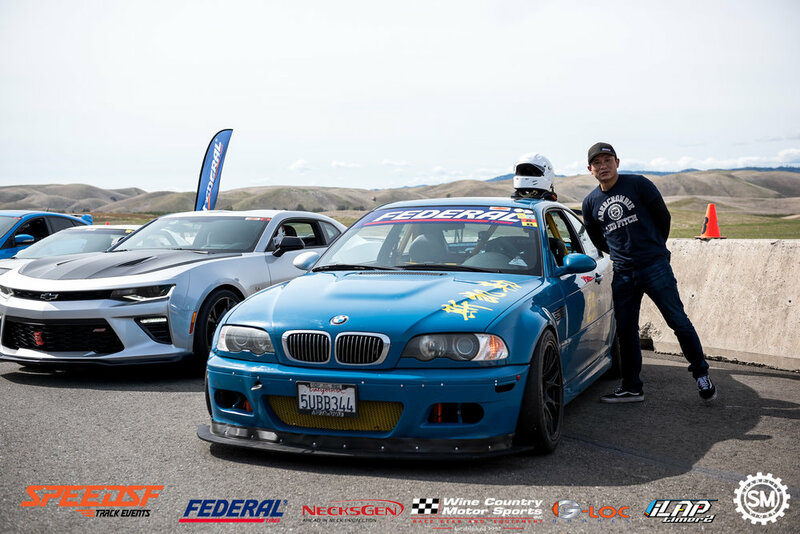 As residents woke up to the mechanical roosters, modified vehicles filed into the renowned Northern California racetrack, their respective drivers eager to lay down their personal best lap times for the Federal Tires-sponsored SpeedSF Challenge. We had Groups S2, S3, S4, and S5 represented, and the results were about what was expected, though S4 did bring a resounding class win to temporarily de-throne the class leader, at least for this round! Group S2’s showing featured the two class leaders and rivals from last season, Gordon Peng and Steven Chiu. On Saturday, Steven’s BMW told him “nope” during one of his sessions and therefore needed to take a quick trip to the auto parts store down the street. On Sunday, Steven came back with a vengeance and took 1st place in his M3 ahead of Gordon’s C5 Corvette. Gordon’s best lap time during the SpeedSF Challenge was a 1:23.105 while Steven’s was a 1:22.018. Steven and his trophy-winning wheel hub are sure going places this season, especially if he can continue breaking Andrie Hartanto’s M3 class lap record along the way just like he did at Thunderhill West! The Dirty Mango did it again with Gary Yeung at the helm, pulling off a 1:22.150 during the SpeedSF Challenge session. While Gary took home 1st place, John Lawrence and his 2017 Camaro SS 1LE set a 1:23.661 and took home 2nd place, extending his S3 lead this season to 67 points. Gary, however, only has 25 points to his name thus far this season, which currently ties him for 3rd place. Sohan Kota was dethroned for the first time this season! He and his S2000 fell into 2nd place despite setting a fast 1:27.683 lap time. However, on this day, Gabriel Rothman was just a helluva lot faster this time around in his Ford Focus RS, setting a 1:26.857 lap time and clearing 1st place without doubt. Joe McGuigan, the fastest of the rest, secured 3rd place in his Scion FR-S and setting a 1:30.010 for his troubles. Will we see another blistering pace from Gabriel in his next SpeedSF Challenge showing? Ah S5, the Miata-dominated class… not that there is anything wrong with that! Eric Fernandez took home 1st place with his Mazda Miata, setting down a 1:28.677 lap time and earning him the title of the fastest Miata of the day. Scott Smith, however, was not far behind in his own NA Spec Miata! He took 2nd place with his 1:29.950 lap time showing. Imagine if he had his “YT Rice” Miata this round. Ryan Tan took home 3rd place in his own Miata after setting a 1:32.559 lap time, which is a good showing as well! Ryan must have set a faster lap earlier in the day because 4th place driver Ben Bunch set his fast lap time of 1:32.306 during the SpeedSF session. Either way, it looks like it’ll be close battle for 3rd place if Ryan Tan and Ben Bunch can continue dueling with close lap times like these! All-in-all, another great showing for the SpeedSF Challenge participants. We appreciate fast lap times as always and of course enjoy seeing lap records fall. We’ll just have to wait and see who is willing to step up to the challenge (pardon the pun) as we progress through the season. With 12 more opportunities to go, the season is still up for grabs! 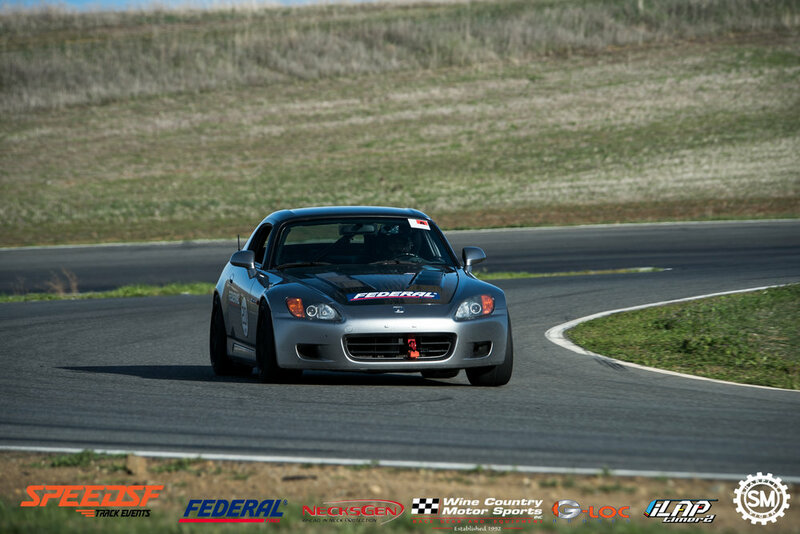 As we look forward to Round 4 of the SpeedSF Challenge at Thunderhill, we want to say that we truly appreciate our sponsors and participants as it would not be possible without them! 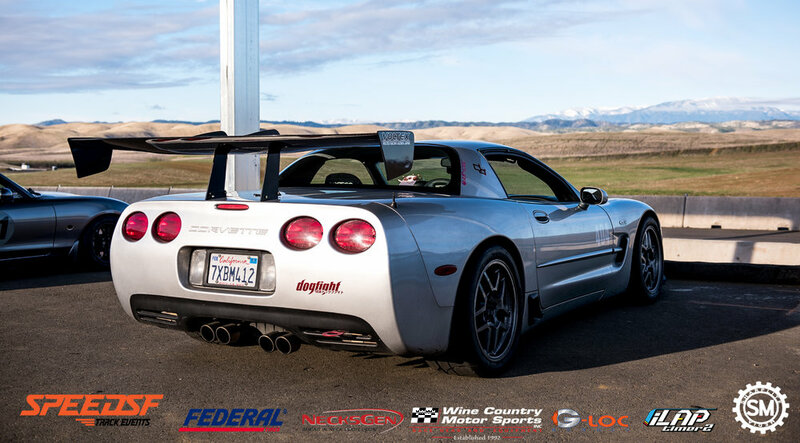 We would like to thank our Challenge sponsor Federal Tires, as well as SpeedSF Track events sponsors Wine Country Motorsports, G-Loc brakes, DBA USA, Necksgen, and iLapTimer 2. Our next SpeedSF Challenge will be held at Thunderhill Raceway (West Loop) on April 29, 2018. Again, please check out the event website by clicking here. We will see you at our next event!